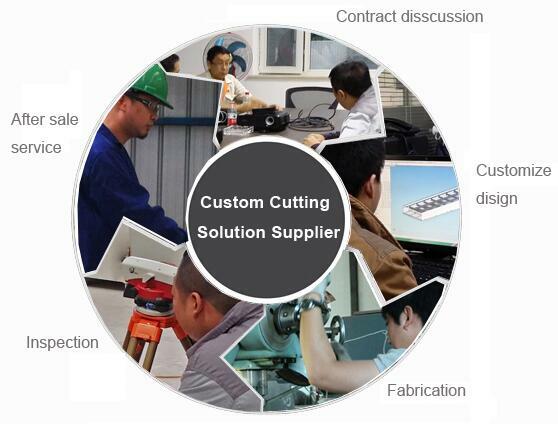 Honeybee wants to help you to choose a reliable quality cnc cutting machines with competitive price for your metal works that help you improve your working efficiency. Covering an area of 89,200 square meters with 51,000 square meters of workshop and is prepared to create exactly what you’re looking for. Your metal cutting and welding solution, In our casting process we use only the highest quality of our parts on our machine,the most friendly operation system. We are dedicated to creating an enduring premier global enterprise built on a unique business culture that achieves success for our customers. This involves doing all things with integrity, respect, and candor, with a deep commitment to excellence to associates and customers as our foundation, to provide consistent delivery of world-class performance in cutting solutions.However we know that we China brand is vulnerable.But we are always be full of hope to be the world brand. Customers Talk, We Listen – The voice of the customer will always drive the development of our strategic plans and actions. Living this value is done by getting Customer Input and Expectations, at every opportunity, and by differentiating ourselves in How We Deliver to our customers. The Best Team Wins – Team-oriented, involved associates are our most valuable resource, and we are passionate about attracting, developing, and retaining the best talent. Living this value is done in three primary ways: 1. Building the right team – having the right people to do the job; 2. Creating the right environment – making sure that leaders create an environment where all associates can contribute, and 3. Getting the win – when you have the right people and right environment – it makes getting the win a lot easier! Continuous Improvement Is Our Way Of Life – Set breakthrough objectives, experiment and learn every day, eliminate waste in our business processes, and benchmark the best, then better them. Living this value is done through understating that Change is a Must, and the use of Tools for Improvement. To live this value each HONEYBEE associate fosters an environment of continuous learning employing the DHHI Group which is the basis of our culture. Innovation Defines Our Future – Individual and organizational creativity will drive breakthrough ideas for technology, products, solutions, and processes. We live this value by providing differentiated customer solutions, creating products and services that improve quality of life and environmental stewardship through Creative Thinking, and by understanding What Innovation Brings. We Compete For Shareholders Based On Our Performance – To consistently attract and retain loyal shareholders, we must deliver best-in-class results for profits, working capital, and cash flow. We live this value by developing aggressive, yet realistic and measurable performance objectives and consistently achieving established goals. We do our best to work with your organization and the funds you have available. Our competitive pricing provides you with top quality artwork you can’t find anywhere else. Honeybee know the value of the brand and focus on metal working processing and has an independent strong research and development department which is keep up with the market of it.We have a strict sells net working in Both China and aboard which makes it is a healthy machine sell marking .